this christmas, after much indecision and debate, we are staying here-- just our little family of five-- and celebrating our dear Savior's birth with a quiet christmas at home. it's hard to have our parents and siblings out of town; ryan's are the closest at a drive time of about 12 hours. we usually alternate between seeing them and my family every year, which usually means we travel. we never used to mind that a bit, but now that our kids are getting older they have their own voices and opinions about the holidays (what?! who said they could have that?!) and they begged us to stay home this year. they actually have never known a christmas in their own house-- the last time we were home was 2007-- and we want them to grow up with memories of the holidays here. unfortunately, our families aren't able to travel to join us, but at least for this year we're going to hunker down and stay put. i'll hardly know what to do with myself with a two week holiday break and no travel, but i am quite looking forward to relaxing and enjoying time with the kids. my holiday decorating has been getting simpler and simpler each year. in fact, this year, i let the kids decorate the tree-- entirely on their own. as much as the stylist/ control freak in me wants to perfectly place every one of my thousand ornaments (only a slight exagerration, sadly), i know it's important to let them build their own traditions and participate. and it should come as no surprise that my children have their own, very strong, design aesthetics! i didn't really know if i would post about my holiday decorating at all, but when emily from table and hearth emailed to ask if i'd participate in a holiday home tour she was pulling together with some of her favorite bloggers, i said yes immediately and was soo excited! but i also warned her my decorating could be a little underwhelming; i definitely do not go "all out" anymore like i used to. my husband, at one time in our lives together, had to rearrange all our furniture and string garlands from 100 feet of railing spanning two stories, (poor man!) but now it's much simpler, and that's better. emily was so sweet and even supportive of me not going bananas, saying "ain't nobody got time for that." ha! a girl after my own heart! so this will be more a peek at some vignettes and favorite moments around the house than a full home tour. (that'll be easier on your eyes anyway- this place has been a mess lately! oi!) i hope you enjoy these little touches that are making the house feel festive and ready for a christmas the kids will remember. the "o come let us adore him" print from chalk full of love was the first thing i put up this year. i did the most in here, not really on purpose but because this room is the catch all for christmas blog-projects, santa organizing, and gift-wrapping. it's a festive mess, isn't it?? this centerpiece lasted a long time and the eucalyptus is still going strong two weeks later. it spent time on the table, and in the hutch, and finally came to rest on the mantle. this spot definitely feels "unfinished" but the truth is this table is filled and cleared at least five times a day (anyone else's kids eating them out of house and home?) and it just isn't worth "decorating." i also thought i'd make that branch canopy into something sparkly and spectacular, but it turns out i really love the simple bare branches and the lonely wreath. against the new white kitchen paint (yes! i completed the whole list!) it's just a perfect quiet moment that i look at every morning as i sip my coffee. my sweet sweet cousin, christy, sent the kids early gifts this year that i know they will enjoy for years to come- flannel christmas sheets from pottery barn kids!! they are so cozy and darling, it totally inspired me to hang a garland above each kid's bed. my littlest one just laid in his bed (when i shot this) for about half an hour snuggling his pillow and talking to himself when i first made the bed up. it was so cute! apart from the kids and the dog on my bed, sadly my room doesn't look like this too often. (i'm not going to lie to you, i had to crop out some pretty big laundry piles, and i almost never get a matching combo of sheets on the bed all at the same time). but after seeing these idyllic shots, ryan and i immediately put "make bedroom relaxing" on our 2015 list of goals. i mean, who doesn't want to jump into a bed like this at the end of the day? i'm definitely motivated to make our room more of a retreat and less of a toy/ laundry/ furniture dumping ground. hold me to it! and that's my christmas house tour! i hope you enjoyed it, and i hope you'll stop over at emily's to see her lovely home decorated for the holidays as well. all this week she's invited the talented bloggers below to share their spaces. i'm so honored to have been chosen to participate, and i can't wait to see what they're up to! thank you again emily and thank you for reading! I love it! Love the simplicity, yet clean and fresh feel to all the spaces. Your home is so bright and gorgeous!! 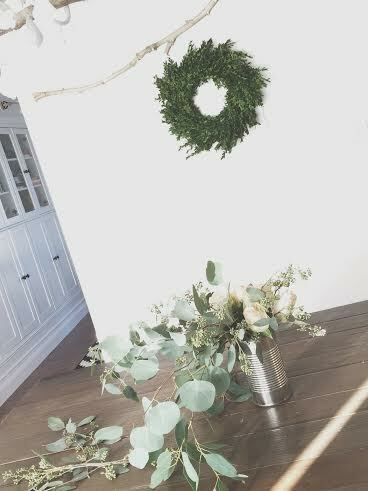 I love the use of eucalyptus as garland and greenery, man I bet it smells amazing! And oh my gosh the garland on the kids' beds and those sheets are adorable. So glad you could join in! thank you so much emily. grrr...why can't i use emoji on a computer?! you get so many hearts right now. thanks a gazillion times for inviting me to do this and for the motivation to capture these pictures. and for introducing me to so many new & awesome people! karisa, thank you!! so glad to have found you too- LOVE your blog! Laura, I have a huge design crush on you! Your house, your blog, your photography.. thanks for all the lovely inspiration and giving me the motivation to keep learning and growing as a blogger and designer :) And cheers to simple Christmas decor! This is our first Christmas in our home so we are keeping it pretty low-key too with our first ever tree! LOL naomi- thank you so much!! so glad to have found you! bahaha grace, i know, right?! sometimes i think the laundry will just rise up and overtake us all. :) thanks for your sweet support, friend. can't wait to see what you do for friday!! Oh.my.gosh. This is for sure a magazine spread! I love love love it! I am so glad to have found your blog through this blog hop! BTW, I am in Oak Park - yay Illinois! oh, thank you bre!! that is too sweet! so glad to have found you too- and yay suburbs! hahaha. AHHHHH! I LOVE IT! Absolutely gorgeous. All the eucalyptus must smell amazing. BTW, how did you finish this with all the Wildwood Speakeasy party stuff from last week? You're insane lady, but you rocked this! Oh man, right?!?? You're a machine!! hahaha well basically the formula goes like this: 1) don't sleep. and that's the end. :) THANKYOU my sweets!! I just loved your home tour! 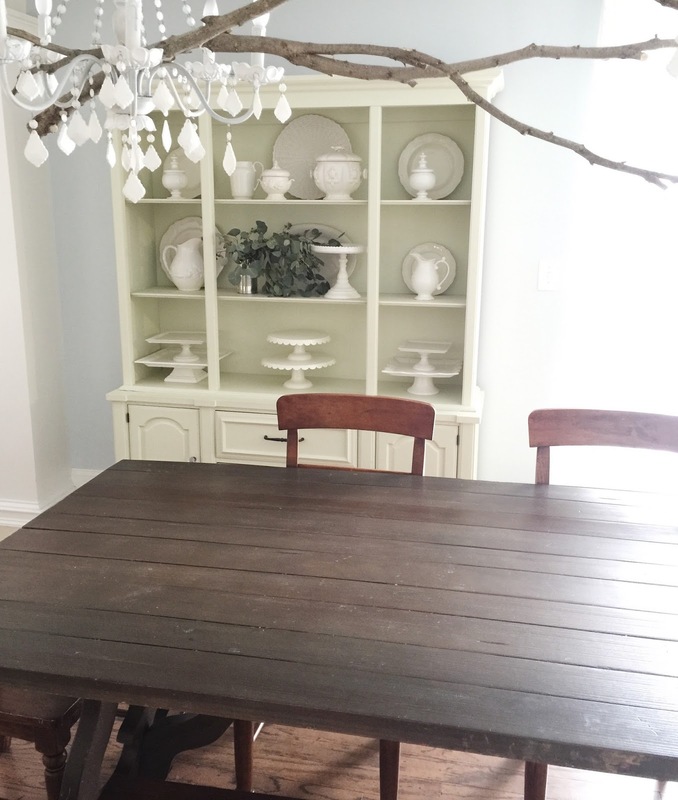 I really enjoyed reading your post and your home is beautiful! Thank you so much for sharing! 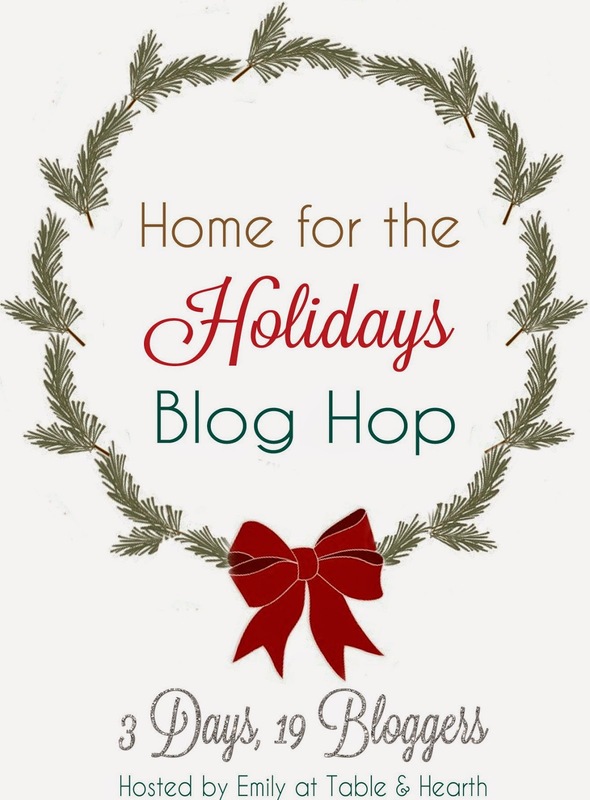 So glad to discover your blog through participating in this blog hop! thank you shelly, so glad to have found you too! love all your bright & white touches- everyone's homes are so fun to see. :) xo!! haha cat, so glad i'm not alone on that one. and yes! the bedding is from pottery barn and it's several years old but is still looking great! Simple is great! We're staying home as well. Sometimes the stress of wanting to see everyone you don't see on a regular basis is so overwhelming! I haven't had a single heart palpitation since we decided to stick to the homestead. Hugs to you and family! thank you erica!! i'm so thankful for the office- the room was a disaster before my husband remodeled it this year, and i'm so happy he did it. yay for closed storage!! haha, and i will totally resurrect my bloglovin password (from wherever it is?!) and follow you back! so good to have met you!! thank you so much michelle & thank you for stopping by! and i so agree, this eucalyptus is amazing! I am in love with your bed! Is it a vintage find? Just gorgeous Laura! Each and every room looks just perfect!!! aw, noelani!! always love seeing your comments. thank you!! Love your home tour! Beautiful! Your bed is gorgeous! Loved it all! Thanks for sharing! EEK i love your home! the bedrooms especially are amazing, but love it all! i think the kids spaces are SO fun!